Welcome to September's online income report where I show you how I made money online last month. It's time to look at this month's update and track how I did. If you're new here, you may be wondering why I would want to publish my online income report each month. You can simply skip to the next section if you're not new here. This all started out as my extra income report because in the beginning it was all about the money I was earning from my side jobs. In my side income reports from the beginning, I included all of the income I made except for what I made at my day job. However, I left my day job as a financial analyst in October of 2013 and now my monthly income reports consist of the many ways I make a living each month. Before I started blogging, I knew nothing about side hustling and making money online. I didn't think side jobs were worth the effort, and I thought the only way to significantly increase your income was through raises and promotions at your full-time job. If it weren't for others publishing their monthly income reports each month, I don't know if I would have ever tried side hustling. I want to help show others the positives in side hustling and how it can change a person's life. There are many different ways to make money online, and I like to share my story each month to help motivate others to improve their financial situation by making more money. Lastly, I like to show others that making side money is possible and that there are many legitimate ways to make money from your home. If you are looking for information on the many ways to make money online, I published the article Monthly Income Report Roundup – My Favorite Income Bloggers that showcases many successful bloggers who are kind enough to share their income with the public each month. I know I say this every month, but it's the truth. Life is great now that I'm my own boss. I look forward to each and every day and it's a wonderful feeling. I truly love waking up each and every morning. Above are just a few of the reasons for why I enjoy publishing my monthly income reports. I like to show others that you don't have to hate your job and hate your life. You can make changes to your life and make money in a way that allows you to truly enjoy the life you are living. I'm not saying that you have to LOVE your job, I'm just saying that your job should at least allow you to do what you like to do outside of work (whether that be spending time with loved ones, painting, hiking, etc.). How was my online income in September? 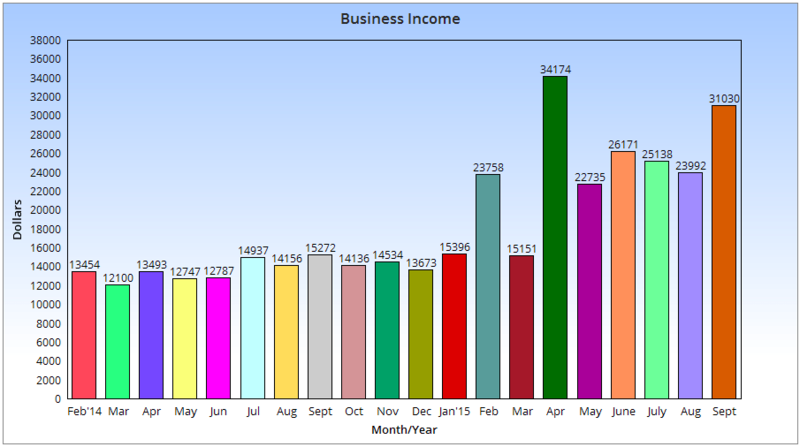 September was an amazing month for business income. September was an extremely busy month for me as we spent almost the entire month staying with friends and family, and then a few days at FinCon. I didn't get much work done, but this is why it's so great to work ahead. When I first switched to self-employment, everything was extremely hectic. Lately, that has not been the case at all. Even though my income has increased significantly over the past few months, I’ve noticed that I’ve actually been working less. I’ve been a master at work-life balancing lately and it’s really paying off! The business is going well and I am very happy with it. Things around here seem to be improving and I have no complaints whatsoever. I have been catching myself saying “Life is really good” a LOT lately. And, I mean it – life is actually really good. I’ve always been very excited about my business, but I am more excited than ever for the future. I have so many plans and everything is going well. Anyway, in September I earned $31,030 in business income, before expenses. If you are interested in starting a blog of your own, I created a tutorial that will help you start a blog of your own for cheap, starting at only $3.49 per month (this low price is only through my link) for blog hosting. In addition to the low pricing, you will receive a free website domain (a $15 value) through my Bluehost link if you purchase at least 12 months of blog hosting. FYI, if you are asking yourself “Can you make money blogging?” – my top tip is to be self-hosted. This is essential if you want to monetize your blog as you will appear more professional and this will help you monetize your blog tremendously. My blogging income did not take off until after I switched to self-hosting. The number above is for the month of September and before any fees and expenses (some fees and expenses that lower the amount above total around $2,200 (rounded up), which include virtual assistants/staff writers for my other websites, technical assistance on my websites, newsletter expenses, PayPal fees, etc., however, this does not include taxes) being taken out. After expenses and fees, I made approximately $28,830. Below are some of my other monthly side income reports. I publish an online income update every month but only included some of them below as it would be a very long list. If you head on over to my extra income page you can find all of my monthly income reports from the past few years. Blog news – I won an award for Best Personal Finance Blog For Millennials. In September, I attended FinCon and that was a lot of fun. There were several great sessions, I met many great bloggers, hung out with old friends, and more. FinCon is my favorite conference and I highly recommend every blogger attend it. I also won a Plutus Award at FinCon for Best Personal Finance Blog For Millennials. Thank you, everyone! Pinterest is still one of the main ways I receive referral traffic each month. I'm still using Tailwind and I highly recommend anyone who is interested in Pinterest to try out Tailwind. Tailwind has saved me a ton of time and the analytics the site provides are great. Overall, traffic remained the same in September and I received around 300,000 page views. Should You Rely On Credit Cards For Your Emergency Fund? Living In The RV Full-Time – Should We Do It? 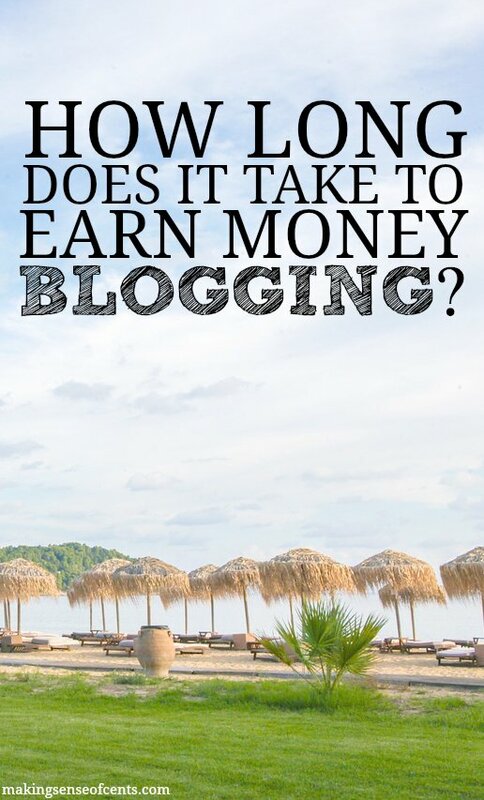 Featured Question: How long does it take to earn money blogging? 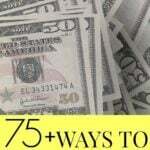 I feature one question from a reader in each monthly income report. Please leave a comment below if you have a question you would like me to include. There is no one answer to this question. 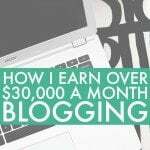 As you can tell from my past income reports, I started earning a few hundred dollars a month from my blog less than one year after I started. After just two years of blogging, I was earning several thousands of dollars from blogging and that was all on the side of my day job. I know some who started making thousands of dollars a month after just a few months of blogging. There are bloggers out there who started a year or two after me and are making hundreds of thousands of dollars a month. There are also other bloggers who aren't making any money. As you can see, blogging is not a get rich quick scheme. However, if you are serious about it then you never know what it may turn into. It all depends on you, the effort you put into it, whether you have the time to learn how to monetize your blog, and more. My plans for my website and making money online. Without any plans and goals, I think it would be very hard to run a business. Constantly working towards something can help keep a person motivated. Promote more – I am doing much better at promoting my articles and I'm definitely noticing an improvement. One area is still Pinterest – Pinterest brought around 90,000 clicks to my blog just in the month of September. Accept more interviews. – I took on a few interviews in September and I am happy with that. I am trying to respond to each and every one I receive! Stop being shy – This is one of my goals for 2015. I am such a shy person and it's something I need to work on if I want to grow my business. Staff writing is a service I still enjoy providing. My newest client is H&R Block and my first piece was published in September. I'm still writing for GoRVing and I'm loving it. 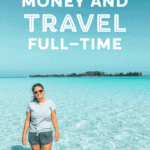 Writing about RVing and traveling is extremely fun – especially when I write about personal finance 99% of the time. I still love writing about personal finance too, though! So You Want to Be a Freelance Writer? This will probably be the last month I include this section in my monthly income reports as it's not something I am really focusing on anymore. Blog and social media management are others services I still enjoy providing to my clients. I plan on keeping the clients I currently have, but I am no longer expanding this service to new clients due to time constraints, though. Many have contacted me recently which made me want to reopen this service, but I am trying to focus on what is currently on my plate while also managing a good work/life balance. If this is a service you are looking to find someone for, I do have contacts I can refer you to, though. My goal right now is to further grow the sites I currently manage and own, spend more time on my blog/website coaching service, and grow my income here so that I can be more of my own boss. This will mean that I will be less diversified as most of my income will be coming from this website and related services, but I do think this is what I am truly after with my business. As each month passes, I get more and more excited about affiliate income. Why I waited around three years to be active with affiliate income is something I will never understand! The somewhat passive income I’ve been making this year has been great. Knowing that I can travel in my RV and still earn a living is a great feeling. Anyway, I earned around $23,000 in affiliate income in September. I won’t see the payments I earned in September until 60-90 days later for most of the affiliate programs I am in, so you won’t see those amounts reflected in my monthly income reports until then. My main form of affiliate income is through Bluehost with my How To Start A WordPress Blog On Bluehost tutorial. However, I am looking to diversify my affiliate income and I have been researching other affiliate programs so that everything isn’t so reliant on Bluehost. I have been doing somewhat well with diversifying my affiliate income so far, though, with around $7,000 last month coming from other affiliate programs. When you see my monthly income each month please keep in mind that I work for myself. This means I have to cover taxes (which are over 30%), health insurance, and all other benefits/expenses that an employer may provide. How was September for you? Are you interested in earning income online? If you are interested in starting a blog of your own, I created a tutorial that will help you start a blog of your own for cheap, starting at only $3.49 per month (this low price is only through my link) for blog hosting. In addition to the low pricing, you will receive a free blog domain (a $15 value) through my Bluehost link if you purchase at least 12 months of blog hosting. FYI, you want to be self-hosted. 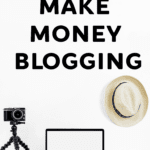 This is essential if you want to monetize your blog as you will appear more professional and this will help you monetize your blog tremendously. This post contains affiliate links. All opinions and statements are 100% mine and links are only placed to help you with your own blogging journey. Wow, another month and another amazing income report! Very jealous of those figures, congrats! Nice work, Michelle. Based on the graph, it is really a good September to you. Cheers! Congrats Michelle on another amazing month! Way to go, Michelle! You are seriously a rock star! My biggest blogging income report yet has been a bit over $600 and even that felt like an accomplishment to me, heh! I would love to be at the point where you are, 5-10 years from now. Thanks for continuing to be such an inspiration to the rest of us and showing us that it IS possible 🙂 Cheers to a great week girl! Thanks Christina. You can do it! You are killing it, Michelle! Way to go. I love reading these reports, and am working toward this level of blog income. You’re inspiring! Major congrats to you! Not just for the income earned, but for the blog awards and everything else. You continue to motivate and inspire! Thanks for sharing your page views. I’m sure you have in the past, but I’ve probably been too enamored with your income numbers to notice 😉 I’m typically around 50,000/month which is obviously way less than 300k, but it still blows my mind that affiliate income has never proven to be a significant revenue source for me. This may be a goal for 2016. Yes, make it a goal! Wow! Amazing, as ever. I’m still impressed that you’re able to bring home that kind of income while travelling around in your R.V. I know you did a “day in your life” post awhile back, but I’d love to see another one. OR a post on how to better balance your work/personal life. Michelle, that is awesome. I am a fairly new reader to your blog and have been inspired by how you built this business up in the early days even though you had a full-time job. Sometimes I feel like I am incapable of earning extra money on the side, but I really need to as we have a lot of student loan debt to tackle. But your posts have motivated me to keep on trying and working hard at it! You can do it Jenni! congrats for your month and for prize you won!!! Congrats on the success! It’s always great to see hard work pay off for good people. Wow. That about sums it up! Congrats on another wonderful month! Wow, Michelle, you are my hero! You crushed it again in September, nicely done. Inspiring as always Michelle! Keep it up! I’ve just taken the leap and quit my job to focus solely online, and your posts are great inspiration. Your blogs income never fails to amaze me. Another great month!!! 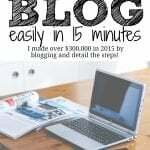 I am absolutely interested in earning income for my blog. I just passed the 1 year mark and finished the first year earning $807 from blogging with 82K page views. September was another great month for us. Our income was up 37.1% in September at $28K (just shy of your income). And our Net Worth rose to $249K, which put’s us up 37.1% for the year so far. We have a stretch goal to increase Net Worth by a total of $100K in 2015. As always, thanks for putting this post together. I love these posts! Keep kicking but Michelle. Wow! What an awesome month Michelle! I love reading these every month and being inspired to keep at it. Thanks for sharing with us! Thanks for sharing these! These really help me to look forward to the possibilities and put in the work. Great accomplishment! These post inspire me to continue with my blog and explore all possibilities! Killer dude! Thats incredible. Ive never done affiliate stuff but certainly dont have the traffic to make it worth ot I think. Keep at er! Amazing month, Michelle! You are killing it with that affiliate income. OMFG! I used to make that in a year. You are slaying, girl. I’m so impressed. This is great. We agree, affiliate marketing is so extremely cool. You’re a perfect testament to what hard work in the online space can become. Thanks for your transparency. It’s truly inspiring. Unfortunately, September was a tight month. I missed some work for FinCon, and my husband had some unexpected/higher than expected expenses on his trip. But we’re breaking even. That’s… something. And my AdSense, while still lower than I’d like, was still higher than it’s ever been. So, yeah. Progress. Congrats on your income levels! Your achievements are a beacon for the rest of us. Keep on shining!!! Congrats on the award and income this month! As always, these reports are inspirational 🙂 I’m amazed at how consistent you are, in both gains, and what you actually do during the month! Holy Cow Michelle! You are crushing it. 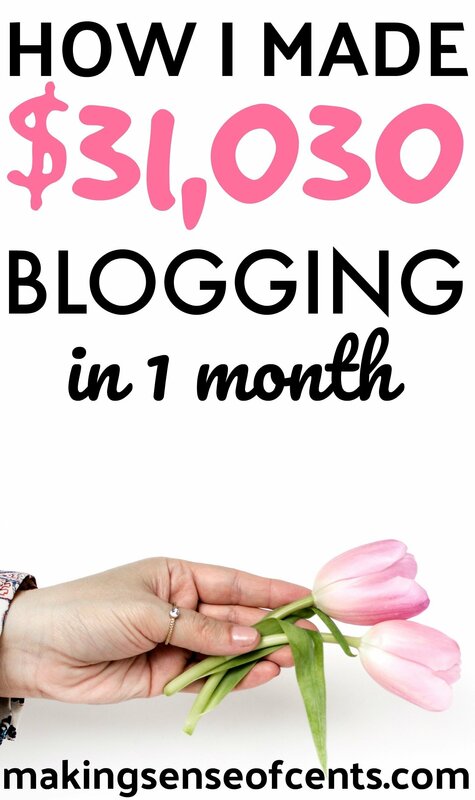 Im super excited to add you to The Ultimate List of Blogger Incomes! Yay! I just started following your blog about two months ago. It’ s my goal to start making money from my creative ventures and affiliate income. Your blog and your progress is a real inspiration! I’m always so impressed with your income. We have some crazy goals for next year so I’m really hustling to make a full time income from home. Just got offered a writing gig that should bring in over a thousand dollars a month so I’m getting there! You’re definitely an inspiration. Thanks for sharing! I’m considering posting income reports as well. I feel like it’ll motivate me and keep me accountable. Yes, you should definitely post them! Wow! I read your income months every month & think “there is no way she can top that next month” and you do! Thanks for sharing your monthly income updates with us. Just found your website and wanted to say your killing it. Congrats, your hard work is paying off big. If the day ever comes where my own website earns enough to break even I will be ecstatic. Take care Michelle and wish you the best. Great earnings and thanks again for posting such inspirational reports. I will continue to follow your efforts in the hope I can do the same one day. You are an inspiration. Thank you for these posts. This is amazing!!! You were the reason I began to realize making money from blogging was attainable. The work/life balance you can create for yourself is amazing!! To spend time how you want and when you want to. I love that you have that freedom and I can’t wait for it either! Such an inspiration! Hi Michelle! I’ve been reading your posts and have been learning so much from you, so first of all thank you! I have a question: I’ve been reading as much as I can about building my site and have come across html and css coding. Is this something I will absolutely have to learn to build my site? Other people have said it’s not necessary but I want to make sure I am well prepared and build my foundation strong because I am very serious about making this great. Any tips on learning these codes or where I should start? I went through Bluehost, bought my domain and have a theme that I am playing around with. This is where I learned about playing around with coding and using it for display, wording, color, etc. Wow, this is so inspiring! I started really focusing on my Mommy Blog last month. My goal for June is to post daily the entire month and then look at all my stats to see what works and what to modify for July. 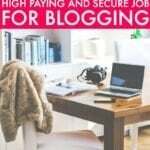 I am so excited to read posts like yours because I would love to blog full time as a career. Thanks for sharing such helpful insight! Awesome post, thank you so much for sharing!